Remove the oil level indicator (1). 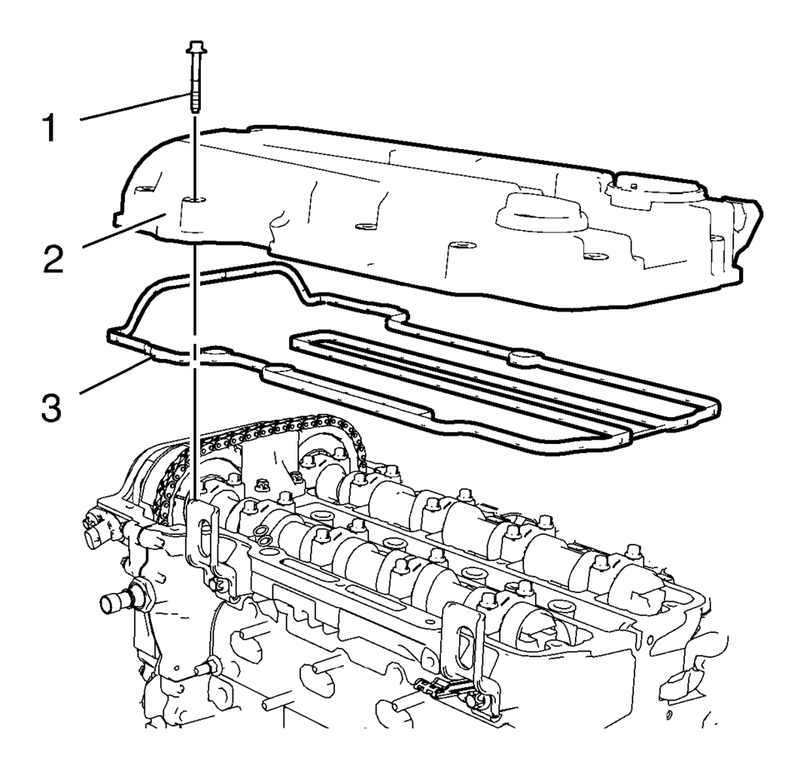 Remove the 15 camshaft cover bolts (1). 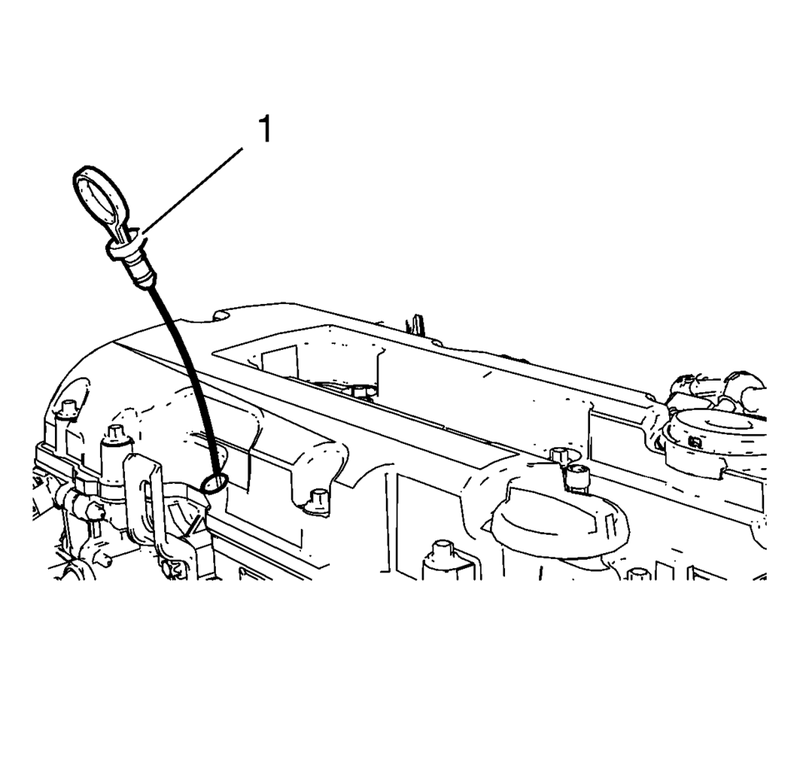 Remove the camshaft cover (2) and the camshaft cover gasket (3).